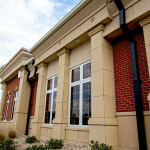 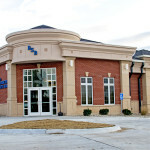 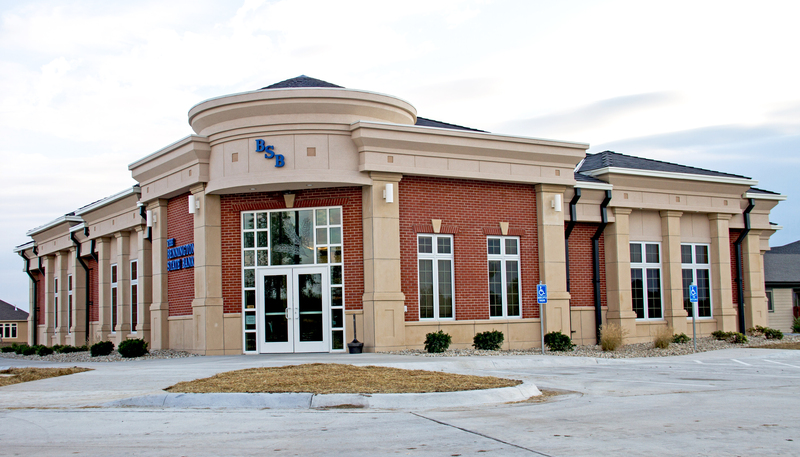 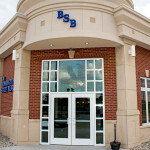 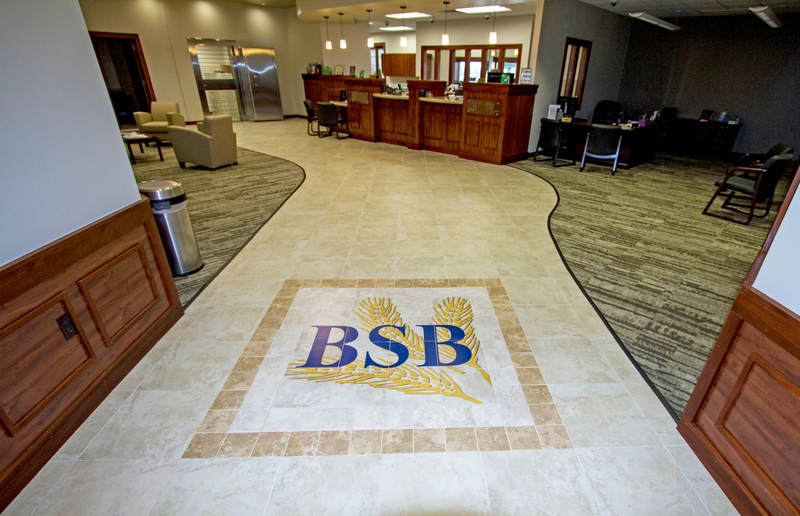 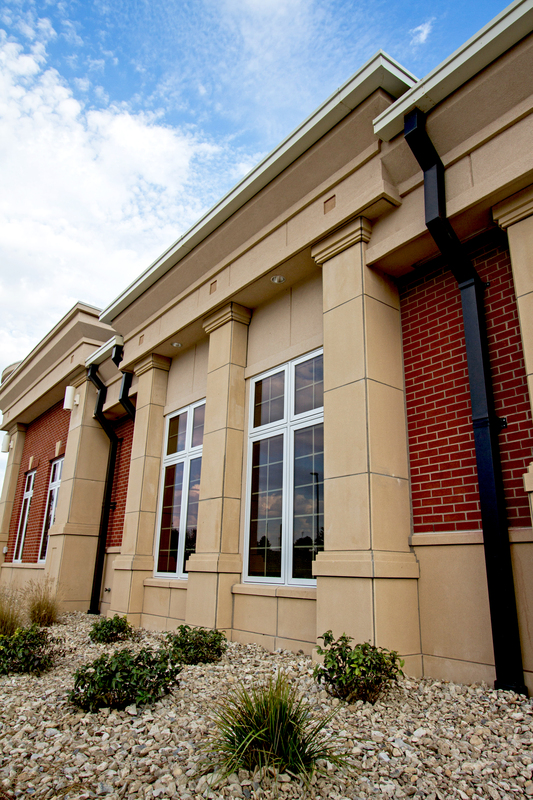 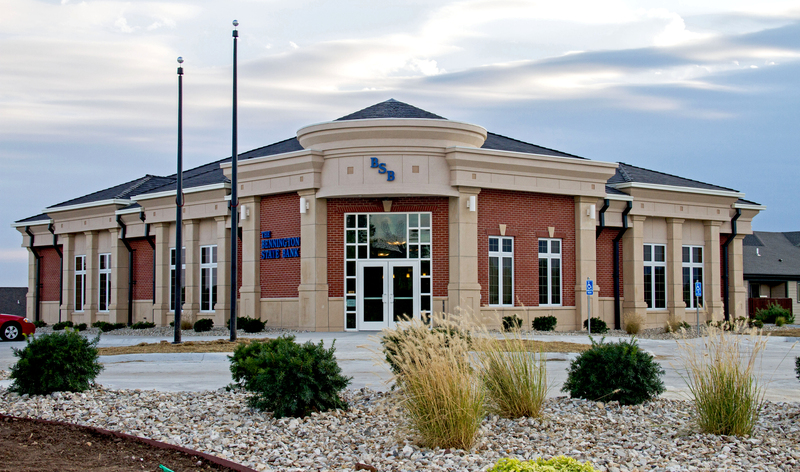 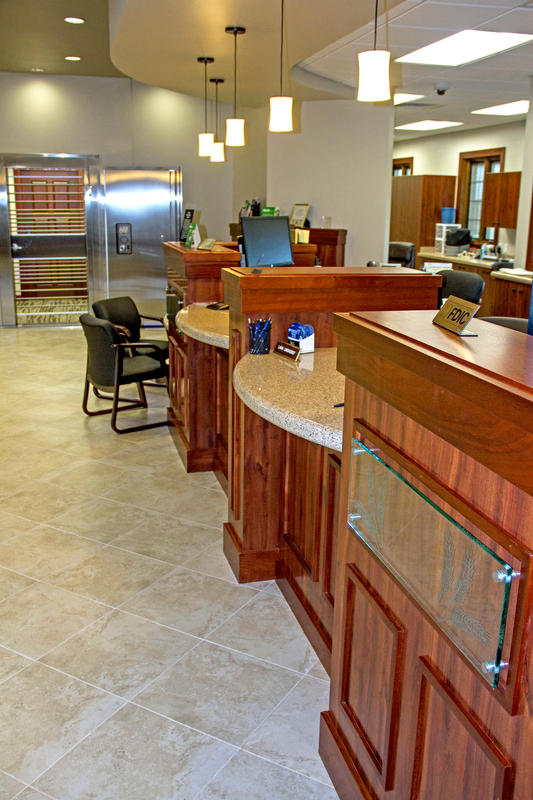 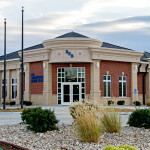 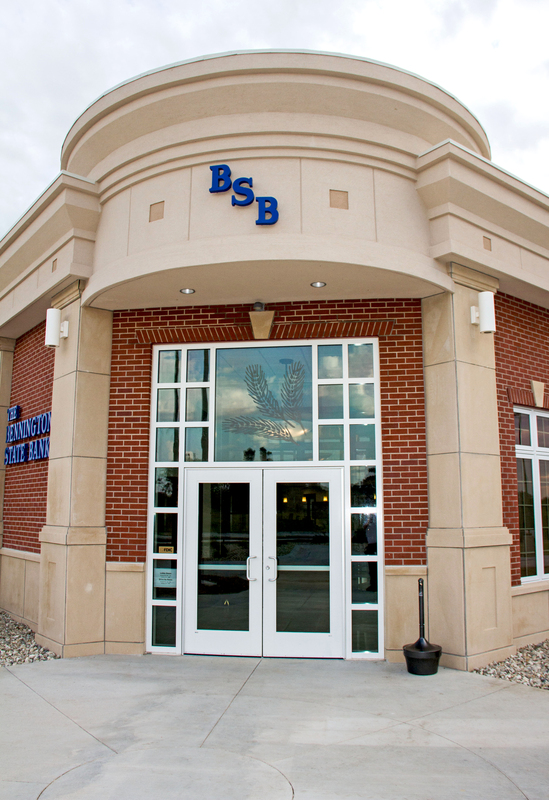 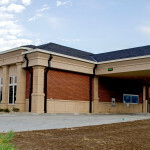 This classical-inspired new bank facility showcases beautiful, tall stone columns with a rotunda style entry. 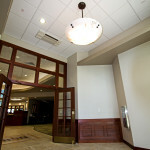 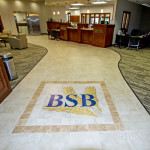 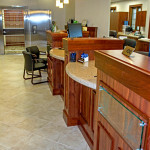 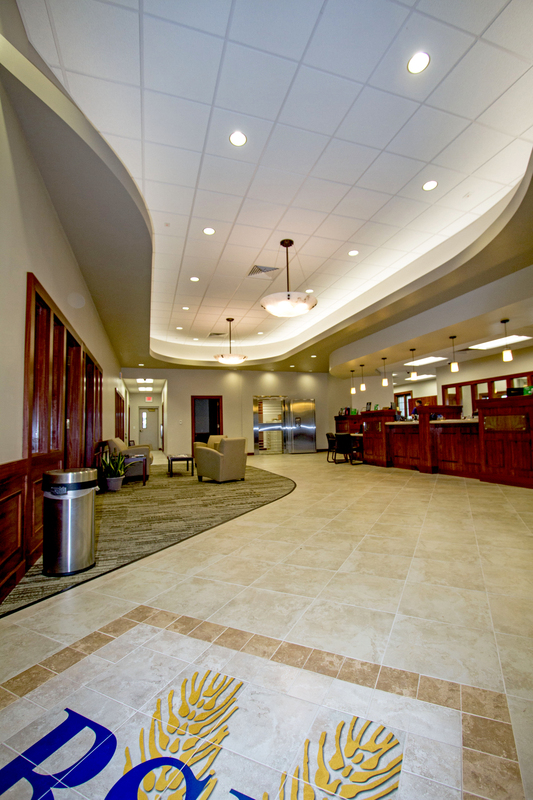 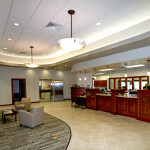 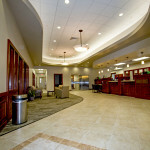 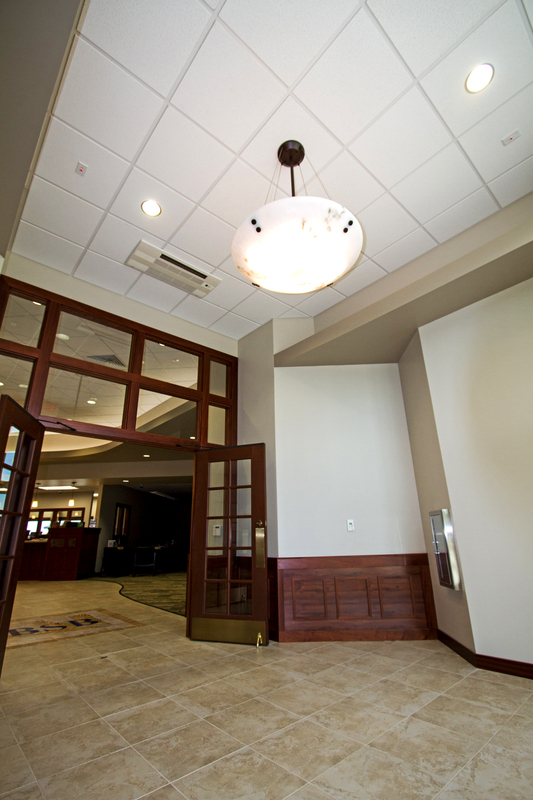 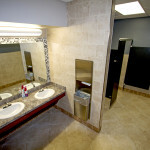 The interior of the bank offers a rich experience, with many custom features, such as: a unique etched glass logo above the entry door, dark wood paneling around the lobby and matching teller stations, a specially designed floor tile logo at the entrance to the lobby, and a raised curved ceiling with ambient cove lighting. 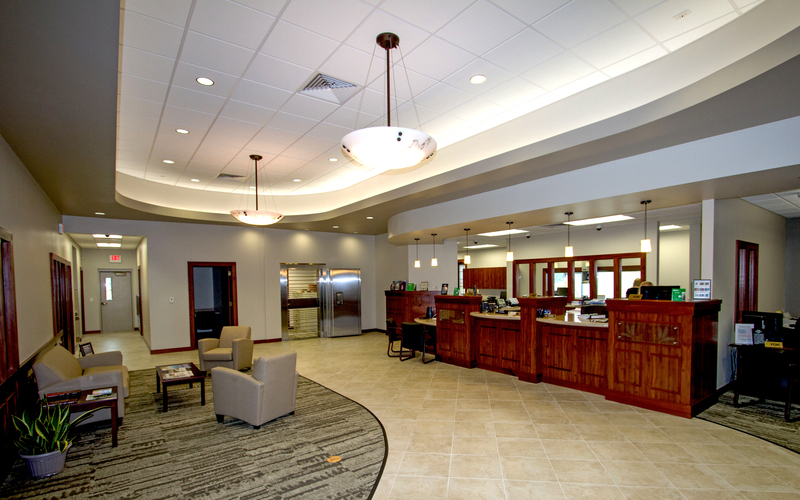 Building Program: 6 private offices, a grand lobby and entry vestibule, teller’s station, drive-thru station, 1 open office, a vault, a secluded safety deposit room, large work area with access to basement, spacious break room, restrooms, janitor’s closet, I.T. 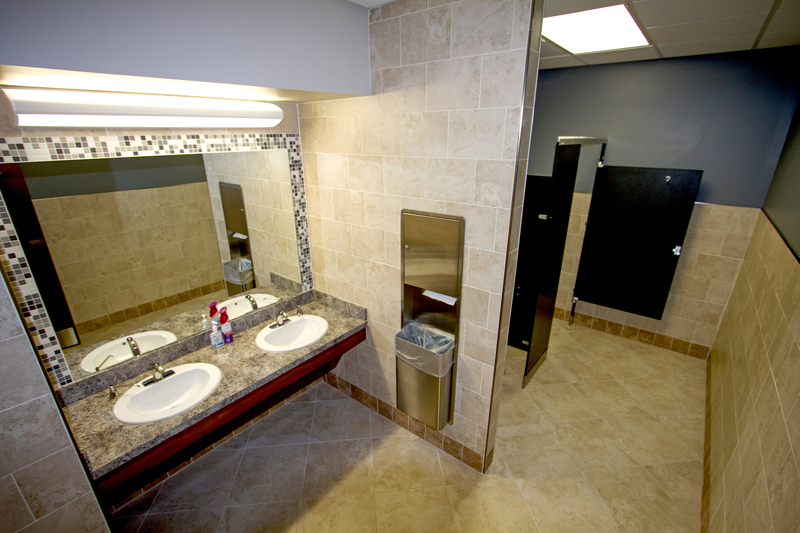 and mechanical room and many storage areas.